Whilst cable internet is the most popular form of internet connection in many parts of the country, some factors may render DSL internet a better choice. 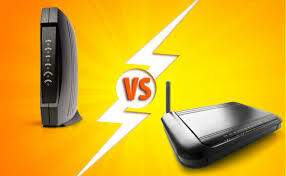 There are advantages and disadvantages to both systems which could be important factors when deciding on an internet connection, as long as you properly understand the difference between the two. Of the two options, cable internet is generally the more costly choice, whilst DSL prices have remained slightly lower around the country. It is worth noting that through cable internet is still the most popular connection in America, DSL enjoys popularity in overseas markets. However, since cable internet is capable of producing much better connection speeds because of higher bandwidth, it tends to be more popular amongst users who use the internet more frequently. A cable internet connection can enjoy speeds as high as 30Mbps, however the service is also more likely to experience fluctuations in speed than DSL is. A user connected to the internet via DSL may be able to enjoy more constant speeds, since a DSL line belongs to only one household, whereas Cable may be influenced by heavy traffic in the same vicinity. Both connections may be affected by generally high congestion on the internet and may also have speed “capped” by service providers to keep congestion down. Even if cable internet boasts a 30Mbps connection, this can be dropped to 3Mbps or lower by speed capping. It is worth noting that the speed of cable internet may also be negatively affected by home routers and networks which were not built to keep up with cable connections. This may result in slow wi-fi and fluctuating speeds even if the connection is otherwise stable.